March is a very dry month, and if you are needing new grass for your lawn, you should really consider perennial peanut. 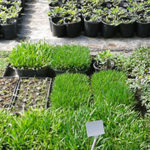 This hardy grass is great for planting in areas that normally make it difficult to grow grass. It is also very low maintenance, and thrives in drier weather. There are some areas that simply do not tend to grow grass well. These areas include near septic tanks, on easements, and in parking areas. Perennial peanut, or peanut grass as it is sometimes called, is very good for these areas. It doesn’t require much in the way of sun or water, and because of this it is perfect for these areas that tend to stunt grass growth. Seed Or Sod: Which Is Best? You want to cultivate beautiful and lush grass in your yard, but what is the best way to make your vision a reality? Seed and sod are two of the most common options, and though they sound very similar, they require distinct processes. Which is the best for your property’s curb appeal? What’s the Difference Between Seed and Sod? Seed is simply the seed of grass. You plant the seeds and grass grows over time. It’s like planting flowers with seeds, except on a much larger scale. Sod, on the other hand, is often considered an “instant lawn.” Sod is fully grown grass that is cut and transplanted onto your lawn and rolled out like a new carpet. Seed’s biggest allure is that it’s a more affordable option at the beginning. For people who must pick a lawn option based strictly on a limited budget, seed is most tempting. Seed also has the ability to create a healthy, deeply rooted lawn as long as it is given the right care. Why Is Fall a Great Time to Install Sod? The weather has finally turned in Florida, replacing hot and humid weather with cooler, more comfortable temperatures. 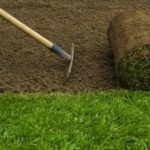 It’s a common misconception among homeowners that home improvement projects like sod installation cannot occur this time of year due to the chill in the air, but that’s far from true! In fact, fall is the perfect time of year to transform your curb appeal with new sod. There are many benefits that make it appealing to invest in sod before the holiday season. 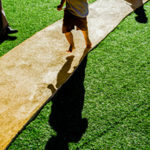 Are You Aware of the Drawbacks of Artificial Turf? As the hot and humid summer months arrive in Tampa, it’s important to adjust your sod and grass care plans based on the incoming weather. Temperatures will hover in the 90s and 100s for many months, and unfortunately that heat is sometimes paired with drought.